For all the guys out there, I want to make sure you know that my husband has reviewed this list and ensured that guys would like most (if not all) of these books. The only things he can’t vouch for are the Olympics, swimming, and tennis. The list is categorized by sport. Plot Summary: Amid the wreckage of the previous winter, Beartown residents face their beloved ice hockey team being disbanded and a volatile rivalry with nearby Hed Hockey. 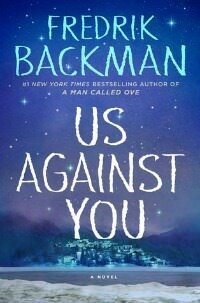 My Thoughts: Us Against You is the sequel to last year’s Beartown (one of my favorites of 2017) and I highly recommend you read Beartown before reading Us Against You. This time around, Beartown has lost its innocence. 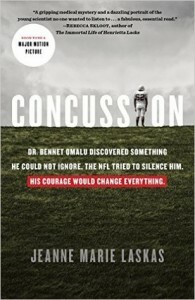 The story is even darker, more sinister, and more focused on the adults and the politics of sports (a very real thing). Like in Beartown, the story is about far more than hockey…friendship, rivalry, marriage, parenting, power, sexuality, and violence. I was completely engrossed in the emotion of sports, which Backman captures better than anything save Friday Night Lights (and if you’re missing FNL, these are the books for you!). Full Review. Summary: The story of how Billy Beane and his underdog Oakland A’s recruited underrated players and won titles ahead of much richer teams. My Thoughts: I never watch baseball and this is the only baseball book you’ll probably ever see on this site. But Lewis has yet again made a drab (at least I think so!) topic exceptionally interesting by looking at it from a contrarian perspective. Moneyball is similar to Freakonomics in that it turns conventional baseball wisdom on its head. Lewis writes with his usual sarcastic humor, making Moneyball appealing to baseball fans and non-baseball fans alike. Summary: With virtually unlimited access to Bob Knight and the Indiana Hoosiers basketball team, Feinstein chronicled the 1985-86 season, his love/hate relationship with Knight, and the trials of working through a “re-building” year with an insane coach. My Thoughts: Though ASOTB came out about 25 years ago, reading it now does not feel dated at all. Feinstein obviously had great material to work with in the always dramatic Bob Knight – and it comes through in the book. He also picked a great year to cover – the year following Knight’s infamous chair throwing incident and one where Indiana had some tough obstacles to overcome. This backdrop provided the catalyst for exceptional (from a story telling perspective) Bob Knight antics. Summary: Feinstein goes behind the scenes of the 2005 NCAA Men’s Basketball Final Four (Louisville, Michigan State, Illinois, and UNC, with UNC winning the title) and covers the history of the Final Four from the perspectives of coaches, players, refs, journalists, etc. My Thoughts: LD has been criticized for focusing almost solely on the ACC and Big Ten, but, being an ACC alum, that’s one of the reasons I liked it. The wide variety of perspectives gives contrasting views and Feinstein’s anecdotal style makes for good reading. Summary: Conroy tells the story of his senior season (1966-67) on the Citadel basketball team and coming together with his teammates. My Thoughts: Why would anyone care about the 1966-67 season of the Citadel basketball team, who was average at best, enough to read an entire book about them? This book is not for you if you’re looking for straight up basketball. It’s more about coming together as a team, Conroy’s bond with his teammates, growing up, and Conroy using basketball as an escape from his domineering father. Like most other Conroy books, it’s beautifully written and tells a nuanced story with far more depth than your average sports book. Summary: MOSA chronicles Coach Bob Hurley (father of Duke’s Bobby Hurley) and his nationally ranked high school basketball team. My Thoughts: MOSA is far more than just a sports book. It’s about overcoming obstacles, shaping lives, supporting teammates and the community, and creating a dynasty in the process. This is the kind of sports story that will give even the most lackadaisical sports fans goose bumps. Summary: The true story of Michael Oher, a homeless, black teenager with a natural gift for football (but no formal training), who learns the game while living with a prosperous, white family and attending private school. My Thoughts: The Blind Side is a football book that even girls will love. The story has all the elements of the Hollywood film it eventually became: overcoming obstacles, empathy, the haves vs. have-nots dichotomy, bright characters, and a happy ending. The only part of the book that feels like typical Michael Lewis is his analysis of the position of left tackle and why left tackles are now paid a salary relatively close to that of the quarterback – which I found fascinating. Summary: Here’s the subtitle of the book – “The Glory Days and Party Nights of the Dallas Cowboys Dynasty”. I think that says it all. 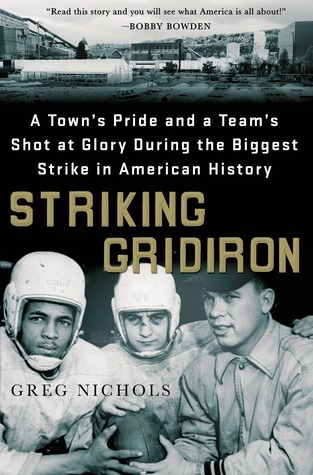 My Thoughts: This is the NFL version of Cane Mutiny (see review below)….and not just because Jimmy Johnson and Michael Irvin anchor both books. Add Jerry Jones and millions of dollars to the mix of bad behavior and you’ve got some outrageous reading. Summary: A behind the scenes look at the University of Miami football program – how the Hurricanes went from zero to “The U” in such a short time. 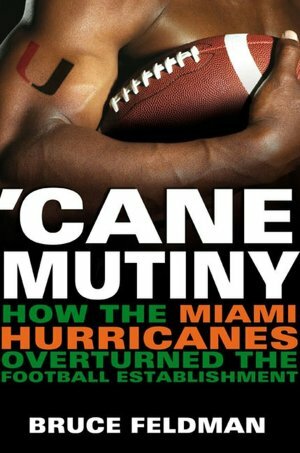 My Thoughts: If you saw and liked the recent ESPN 30 for 30 documentary “The U”, you will love Cane Mutiny (it’s basically the book version). There is tons of juice on famous graduates and the ridiculous antics that contributed to Miami’s bad boy reputation in college football. Summary: Clay Travis, a sports columnist, chronicles his “fan tour” of SEC football games. My Thoughts: DD is more about the insane atmosphere surrounding SEC football games, than the sport itself. Travis has tons of material to work with and captures the intensity of the SEC football fan and the unparalleled experience of attending those games. Incidentally, Travis did this tour in an RV without any plans (no game tickets, no hotel reservations, etc), which I think set him up for much more fun stories to tell. Based on a true story, quarterback Red O’Sullivan and his underdog Hatley High School football team attempt to bring hope to their failing mining town by winning the 1950 Arizona state championships. My first thought when I started reading Muckers was that the team and the setting were a bit like the East Dillon Lions in “Friday Night Lights” (the TV show version), which made my day, as I think “FNL” was the best show that’s ever been on TV in my lifetime. Though Muckers is technically fiction, it’s based on the true story of the “Muckers” football team in Jerome, Arizona, a once prosperous copper mining town that essentially became a ghost town when the mine closed. Many of the characters are based on real people and many details in the story are true. Muckers is a heartwarming story of David vs. Goliath and the football team is the one bright spot in an otherwise depressing existence for the residents of Hatley. But, the story is about much more than football. It deals with class, race, poverty, Communism, and the effects of war on the home front (WWII and the Korean War, in this case). For what is being called a Young Adult book, these are extremely hefty topics. But, they give the sports angle depth and make Muckers appealing to adults and “young adults” alike. The characters, particularly Red and Cruz (Red’s best friend and star receiver) are typical boys who rib each other constantly, talk about girls, etc, but are trying to overcome massive odds both in life and on the field. They show heart, determination, loyalty, leadership, and, yes, attitude. Most importantly, they will do anything to win – even push Hatley High’s school bus around for tackling drills since the school didn’t have dummies (a true detail pulled from the real “Muckers” team). 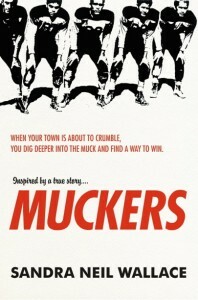 Muckers is an inspiring story of the underdog, but also a unique look at a one industry town in the 1950′s. Summary: The story of Bear Bryant’s first team (Texas A&M – 1954) to endure the 10 day “hell week” in Junction, Texas that later became legendary. My Thoughts: The raw details of grueling practices, verbal and mental abuse, and lack of access to the most basic physical comforts make you feel for and root for these players. And, the same details will likely make you hate Bear Bryant at some points. By the end, there are enough heartwarming moments to make Bryant a bit more likable and make you respect his tough coaching methods. The fact that Dent doesn’t hold anything back is what makes TJB such a sports classic. Summary: An inside look at college football recruiting, told through the experiences of Ole Miss’ master of recruiting (has since been fired), Ed Orgeron, leading up to 2007 Signing Day. My Thoughts: Meat Market sure opened my eyes to all that goes on behind the scenes during college football recruiting season. The focus being the SEC, there are obviously some ridiculous stories included. Ed Orgeron is a legend and is portrayed by Feldman as delightfully insane, which certainly makes MM entertaining. It’s also interesting to read the recruiting stories of players like Joe McKnight (So. Cal.) and Stephen Garcia (S. Carolina), who I’d been watching during their college careers. Summary: The true story of the race horse, Seabiscuit’s, rise from crippled looking underdog to racing dominance during the 1930’s. My Thoughts: Seabiscuit is the Rudy of horse racing. This is a feel good sports story that is filled with colorful characters (particularly Red Pollard, the jockey), which makes it read like fiction at times. Like The Blind Side, Seabiscuit will appeal to people not interested in sports, as well as to sports fans. Summary: Multi-Olympic swimming medalist Dara Torres shares her experiences achieving peak performance in her forties. My Thoughts: This is a book for swimming nerds, which I am! You get the expected behind-the-scenes Olympic dirt, but it’s more an inspiring book about performing your best regardless of age (I picked up some great workout tips). 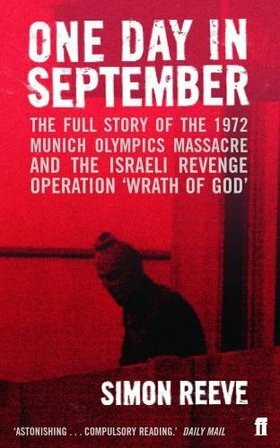 Summary: The story of the Palestinian terrorist attack on 11 Israeli athletes and coaches at the 1972 Munich Olympics and the Israeli revenge mission, Wrath of God. My Thoughts: This is a powerful and intense book. Reeve covers the background of what led to the attack, the details on how the rescue mission went horribly wrong, and the full story of the Israeli revenge mission to systematically assassinate each living member of Black September. Reeve’s account is further bolstered by rare insight from the one surviving member of Black September. This book will shake you, but is an integral part of Olympic history and reminds you of the very real threat the athletes live under while competing in such a high profile event. Summary: A member of the 2004 Great Britain Olympic team gives an honest and juicy behind the scenes account of the Olympic experience – his own and that of fellow Olympians. My Thoughts: Fellow Olympics junkies – this is the book for you! TSO is full of hilarious behind the scenes anecdotes (i.e. the free condoms in the Beijing Olympic Village said “Faster, Higher, Stronger” on the wrappers in English and Chinese). This book gives you great perspective on what it’s like to be an average Olympian (to the extent that such a thing exists) – the opening and closing ceremonies, the “doping arms race”, the pressure to perform, the massive parties after competition ends, and the emptiness many Olympians face after it’s all over. This book will get you excited for London – read it before the Games kick off on July 27! Based on lots of nerdy Internet research and process of elimination, my best guess is that it’s a British rower named Rick Dunn. Never heard of him? Neither had I! The “American athlete who had a disappointing Barcelona and would later go on to great things” that is rumored to have slept with a large European woman rower the night of his race (page 145)? My best guess is Michael Johnson, the US Track & Field star who won back to back double golds in the 200 and 400 in Atlanta and Sydney (he failed to make finals in the 200 – his only individual event – in Barcelona). Summary: Untold stories and commentary from Feinstein’s 20 year sports reporting career. My Thoughts: This is a book of anecdotes (many that didn’t make it into Feinstein’s original books and stories) and updates on Feinstein’s relationships with many of the sports stars he’s covered. Given this anecdotal flavor, it’s fairly light and quick reading. He discusses his tumultuous relationship with Bobby Knight since publishing A Season on the Brink and gives tennis and golf a fair amount of airtime. A good one for Feinstein readers and all-around sports fans. Summary: “Best of” compilations of Rick Reilly’s (previous Sports Illustrated columnist now writing for ESPN.com) best articles from 2000-2008. My Thoughts: Both these books are quick reads that are easy to tackle in spurts, as each chapter is a short article. I had been reading Reilly in Sports Illustrated before picking up these books and loved being able to read some of the columns I’d missed. Even though I was reading this years after the articles were published, it was interesting looking back knowing what has happened since (particularly the Tiger Woods article in light of his subsequent parade of cocktail waitresses!). Summary: A look at the science behind the nature vs. nurture debate as it pertains to sports. 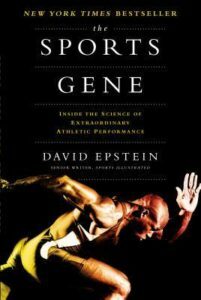 My Thoughts: The Sports Gene is chock full of fascinating information about the body and gene research…in addition to how genes impact athletic performance. I also learned a lot about how certain body types and gene make-ups should train for optimal performance. Plus, did you know that Yao Ming was “bred” by the Chinese sports federation from two of the country’s tallest basketball players?! Summary: An oral history of the founding, rise, and hurdles of ESPN. My Thoughts: I expected TGHATF to be a sports book full of stories about games and celebrity athletes. And, it does deliver on that count. The quotes from ESPN insiders and sports world figures were surprisingly (shockingly, at times) candid. What pleasantly surprised me was the focus on how the company was founded and built into a successful enterprise – I learned a lot and it gave TGHATF a depth beyond just sports. This one is a business book too. 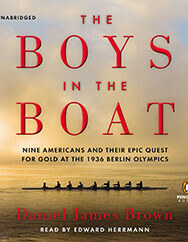 Plot Summary: The true story of Joe Rantz and his University of Washington teammates’ quest to win gold in the men’s eight rowing event at the 1936 Berlin Olympics. 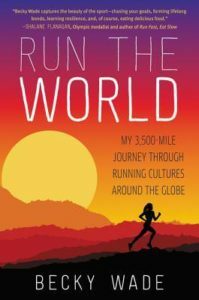 Summary: The story of the Tarahumana Indian tribe of Mexico, known for their ability to run hundreds of miles through punishing terrain while wearing leather sandals. Plot Summary: Japanese literary sensation Haruki Murakami’s memoir about living the writer’s life, solitude, and what he gets from and and the challenges of long distance running. My Thoughts: I’ve gravitated towards “how to live life”-type books on audio lately and What I Talk about When I Talk about Running is just that. Murakami (author of 1Q84 ) went from running a bar to becoming an internationally renown writer, marathoner, and triathlete. He completely changed his lifestyle, substituting sleep, early mornings, exercise, and healthy living for late nights, lots of socializing, and smoking. 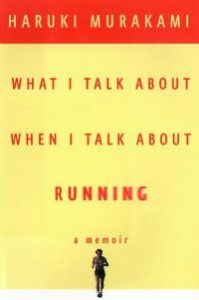 His memoir is probably the most philosophical book about running you’ll ever read. Summary: An inside look at the professional tennis world in the year 1990. My Thoughts: I need to start by saying Hard Courts isn’t for everyone. I am an avid tennis fan, so I loved this book, but it’s probably not for those who aren’t interested in tennis. Feinstein picked probably the most interesting year in tennis to cover – Martina, Chris Evert, McEnroe, and Connors were in the twilight of their careers. Graf, Seles, Agassi, Becker, and Lendl were in their primes. And, Jennifer Capriati and Pete Sampras were rising fast. Feinstein definitely doesn’t portray the tennis world in an overly positive light, with lots of focus on crazy parents (Capriati, Michael Chang), tension with journalists, and infighting between the governing bodies. My favorite thing about it may be the look at Ivan Lendl’s personality (which he rarely showed while playing). A great book for tennis fans! 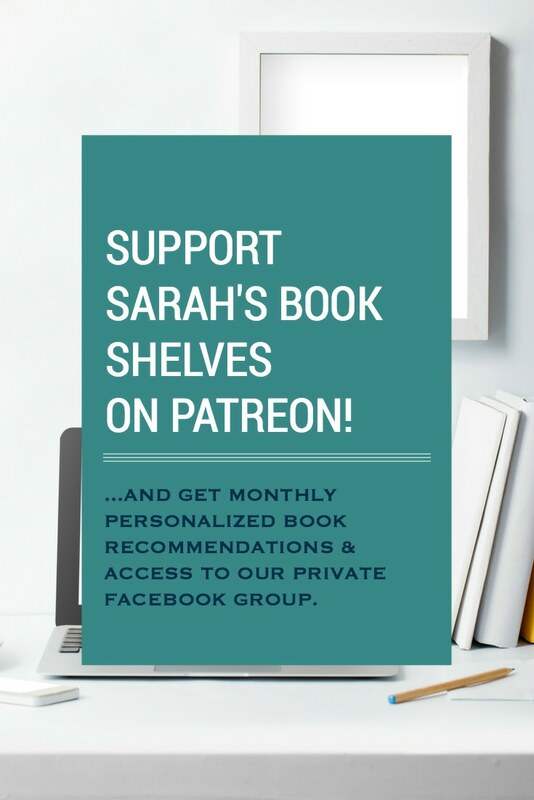 Sarah, Love that you’re doing this! Thanks for all the great tips. Add Will Tidey’s book to this list, LIFE WITH SIR ALEX: A Fan’s Story of Ferguson’s 25 Years at Manchester United…for true football fans. Love this addition to the blog. Just reading your reviews made me so excited to watch the Olympics!! My bookclub is reading The Secret Olympian in honor of the Games, and I was so glad to see your review. Also, LOVE that you have My Losing Season by Pat Conroy! This is one of my all time favorite books. Great list!! I don’t know what list you would add this but “InSideOut Coaching” by Joe Ehrmann is a must read by anyone in sports or business. It is a play list for success. Also for business and positive thoughts any book by Jon Gordon are a must; The Engery Bus”; “Training Camp”; “Soup”. “Positive Dog”. Take a look>his writings are great positive thoughts and motivation.